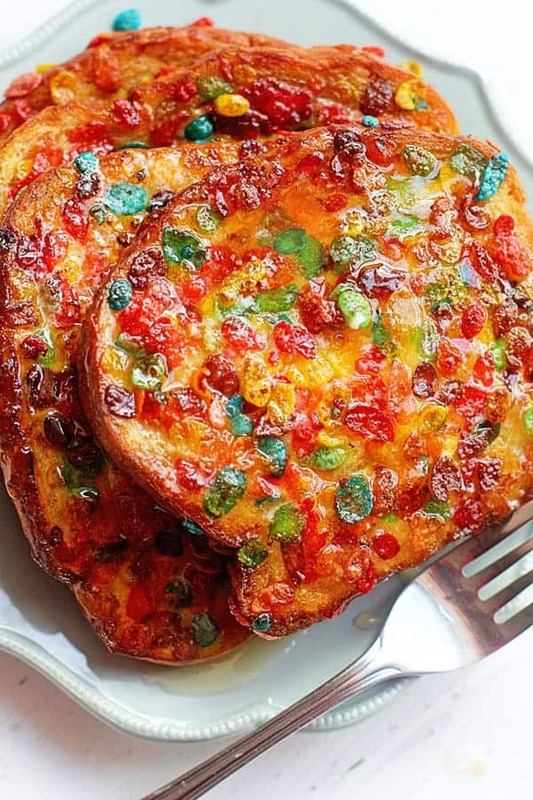 Fruity Pebbles French Toast Recipe- Throw classic french toast out the window! This is a super fun and colorful way to jazz up breakfast and brunch! I’m a kid at heart. There’s just no way around it. Some of the best breakfasts I ever had were when I was little desperately trying to scoop every last ounce of cereal on my spoon. And I absolutely adored any cereal with funky colors and tons of sugar. That was complete bliss in my eyes. That’s the thing about childhood. Nothing extravagant is necessary to please a kid. The simplest things make a difference. I’ve been longing to bring back those childhood memories in my life. Those carefree moments are all I seem to think about now because as we know, adult life is hard y’all. Anything that can bring you back to a place of complete peace and bliss should be at the top of your priorities. 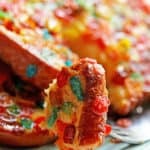 This Fruity Pebbles French Toast recipe was an ode to that carefree time I’m longing to duplicate. 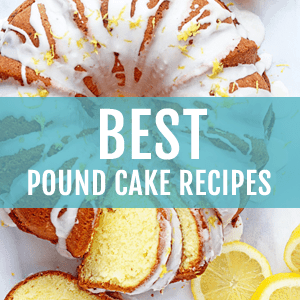 And it seriously couldn’t be easier to make. 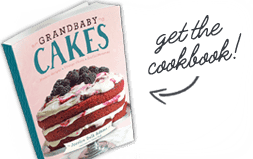 You approach this recipe the same way you would making traditional style french toast except you coat the outside with fruity pebbles cereal. 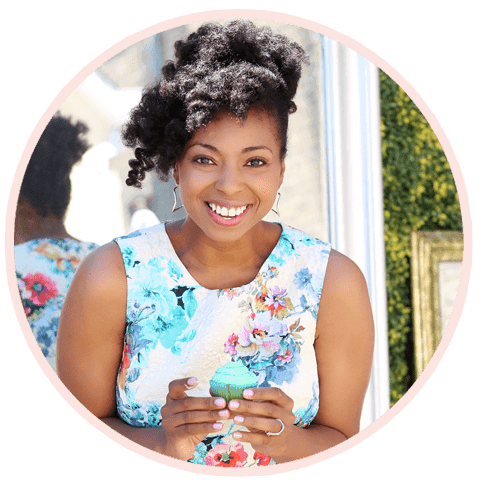 The colors are wild and fun, and the entire eating process is whimsical! A bright smile crept across my face when I first made a batch one weekend morning. I realized that’s a feeling I need as much as possible now that I’m grown. 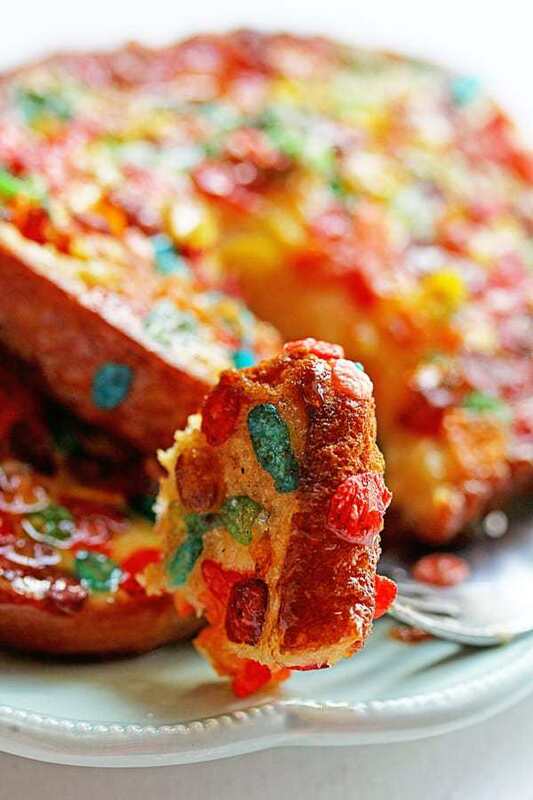 Fruity Pebbles French Toast- Throw classic french toast out the window! A super fun and colorful way to jazz up breakfast and brunch! In a medium sized bowl, whisk together eggs, half and half, sugar and cinnamon until well combined. On a plate, spread fruity pebbles out evenly. Add butter to a skillet and melt over medium high heat. For assembly, simply dip each bread slice in egg mixture allowing it to absorb for about 20-30 seconds then into pebbles thoroughly coating then add to the skillet. Brown until golden on both sides then serve immediately. My favorite dry cereal is Fruity Pebbles. So, I know I will love this French toast!! This looks so colorful and fun. I’m going to make it for my nephew! Oh I know he will love it! This looks fun, if only I could get hold of those fruity pebbles, I would be the favourite aunty for the whole year. 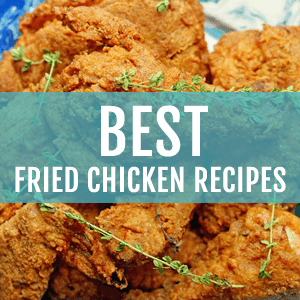 I adore those recipes that make you feel happy. I am definitely trying this at home. I think it’s something my son and I would enjoy! 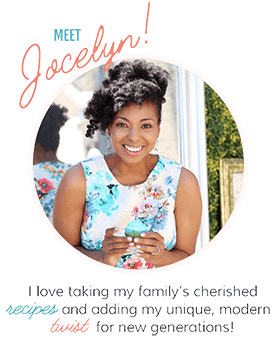 Jocelyn!!!!!!!!!!! I cannot wait to make this for my baby when he gets older! This looks so much fun! Such a fun recipe indeed.